Instructions: Cut a piece of white cardstock 10" x 7", score at 5" along the long side and fold to create a base card of 5" x 7". Cut a piece of patterned paper including the Dream again sentiment 4 3/4" x 6 3/4" and adhere to the base card. 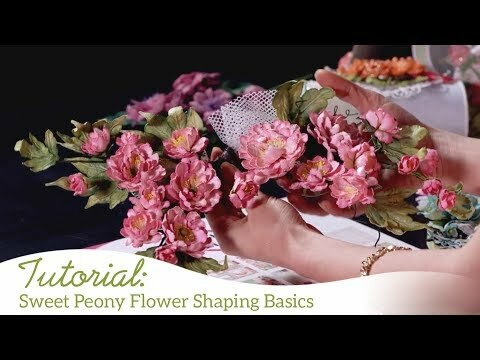 Cut a piece of peony patterned paper 5" x 7" and die cut the diamond out of the centre of the card using the second largest diamond die. 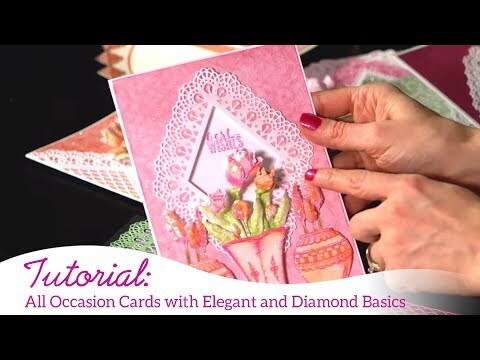 Cut a diamond frame using the largest and second largest diamond die from teal paper. Add Crystal Clear glitter to the frame with Dries Clear glue on a damp sponge and then adhere to the diamond opening. Add this to the card base.